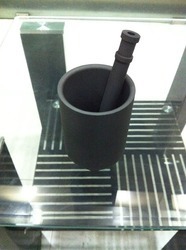 Graphite Crucible is used for melting precious metals like Gold, Silver, and Platinum in Yasui Machines. These are specially designed Yasui Make crucibles for induction casting in Yasui Machines. Our products are machined for high accuracy and performance. Looking for Graphite Crucible ?